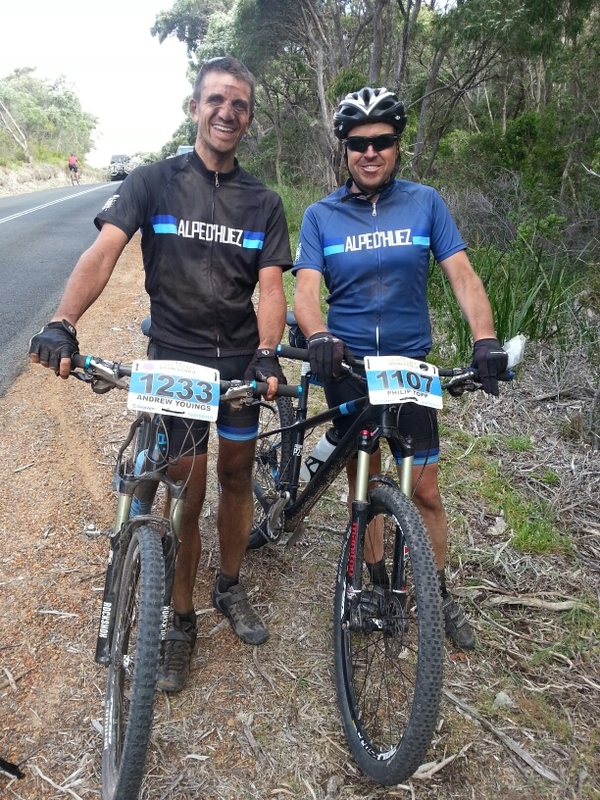 Andy and I recently competed in the Cape to Cape MTB race in Australia. Andy works for us at More Than 21 Bends on an ad hoc basis and is really an ultra marathon runner. This was his first mtb event. For me I had been training quite hard for this since August and this was my big event of the year. 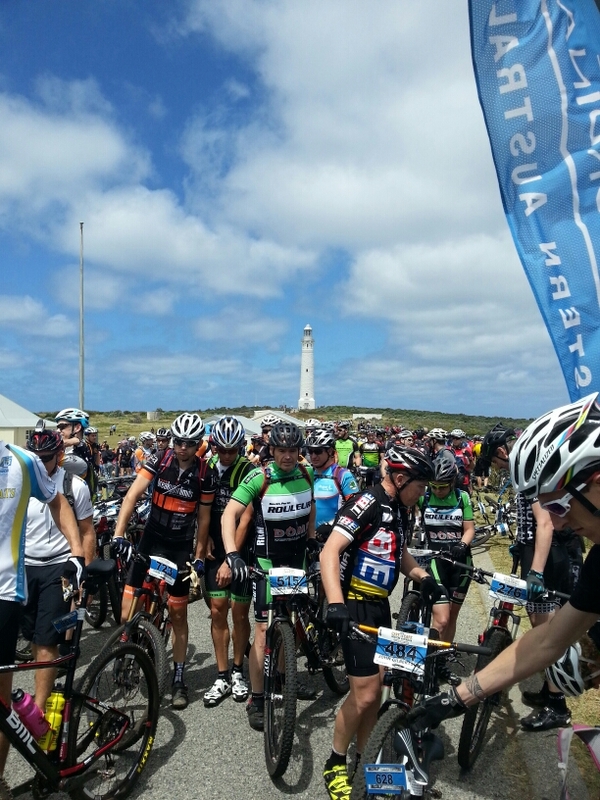 We rocked up at the start line at Cape Leeuwin after a few days of aclimatising in Perth and a transfer to our base in Margaret River courtesy of Bikesure online slightly nervous but excited that the 4 day race was upon us. The first stage was a 41km affair and most talk from previous competitors was that this was one of the harder stages with a fair bit of climbing a lot of sandy trails and a 2 km beach section that was pretty much unrideable. All proved to be correct! After a delayed start due to the organisers letting everyone in to the start pen but not leaving any space for the elite riders we were off. My aim was to qualify as far up the field as possible as this then set the wave you started in for the next 3 stages. Five minutes after the elite riders went we set off and it was fast and furious from the start. A longish climb spread the riders out and I found myself in the top 20 in my group before hitting the first long descent and climbs towards the dreaded beach sections. The first descent saw a few crashes including myself as my front wheel dug into the loose sand. The highlight of the day was the beach section which as you popped out onto the beach looked like a scene from the Normandy beach landings except everyone was running with a bike. 2km later we were through the beach section and into more steep climbs and singletrack downhills finally finishing in Hamelin Bay. I finished after approximately 2 hrs 20 mins in 139th and qualified in the black group with the elite boys and girls.